At Carpets in the Park we are committed to quality products and services at competitive pricing. Our uncompromised quality and commitment make us the most reliable professional flooring services provider in Chicago and across the suburbs. We have a great selection of high quality flooring at direct-from-the-mill pricing, so you enjoy affordable luxury. That’s our commitment to quality! For more detailed information on our products and services, take a look at our complete flooring solutions and flooring installation services. Joseph Taylor started Carpets in the Park when he opened up shop in Chicago, on Milwaukee Avenue near Six Corners (Irving, Cicero and Milwaukee). Joseph worked through high school at some of the six-corner establishments and realized the significance of not only a quality product, but excellent customer service, and affordable pricing. 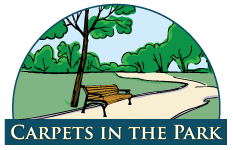 Carpets in the Park has then been serving the Chicagoland area as a full service family owned-and-operated professional flooring company over the past 30 years, winning hundreds of customers since then, as experts in floor care. Make sure to check out our special offer discount coupons, available for nearly every purchase of flooring services from Carpets In The Park. Don’t settle for less. Request a free no-obligations residential flooring estimate or commercial flooring estimate, and we’ll get right back to you. Or simply call us on 1-800-801-2233. We now offer: One Full Year No Interest, Free Financing!